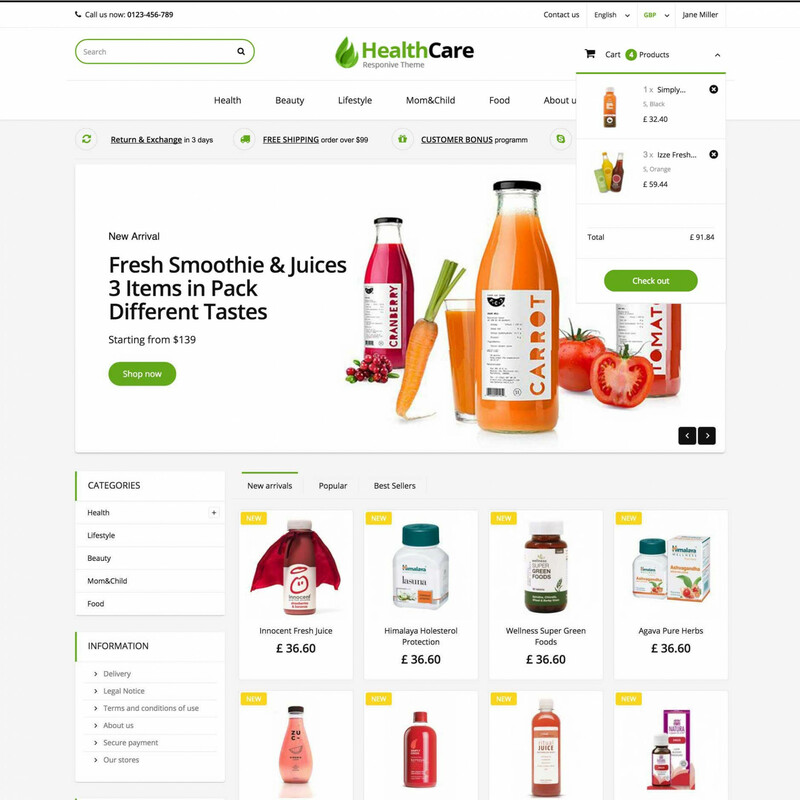 We really glad to introduce to you a new Prestashop Health Care Theme that specially designed for businesses that sell stuff for healthy life, just like: food, juices, vitamins, supplements and many others. 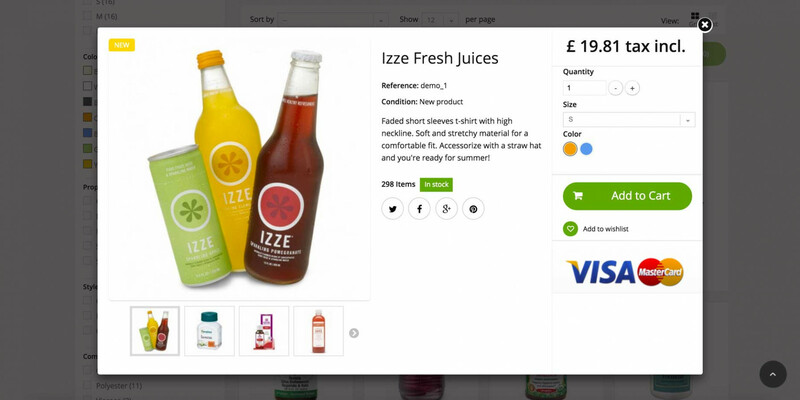 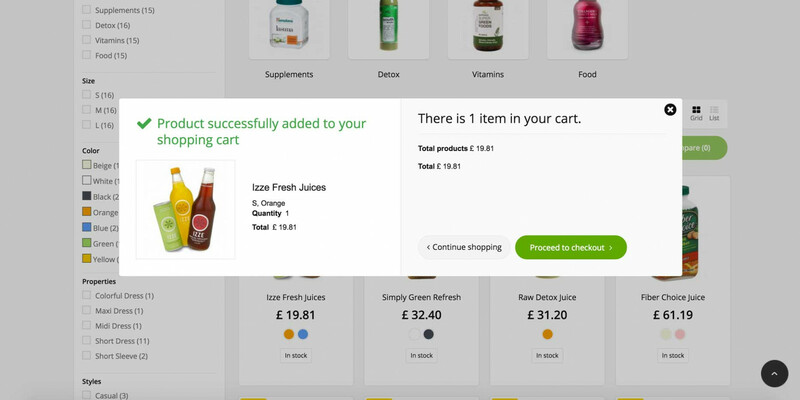 Drop-down menu will let your customers easily navigate and find the right product for them and their relatives. 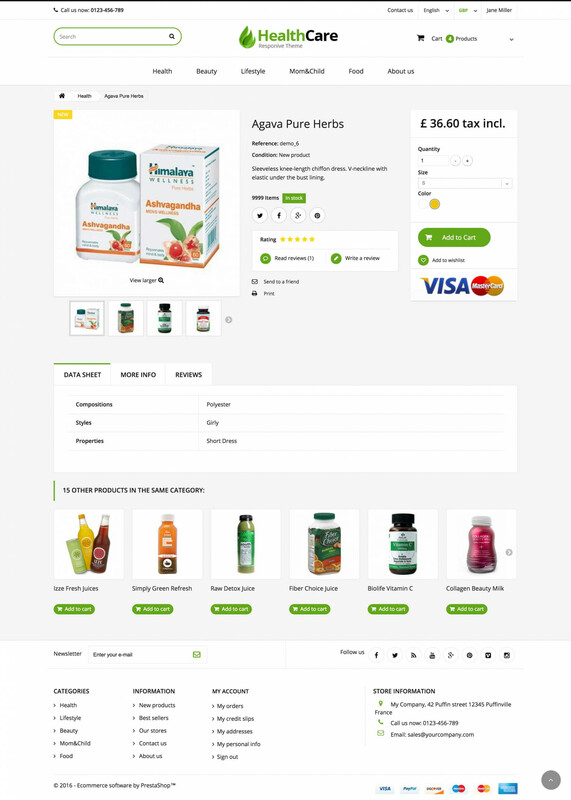 Catalog filter assists to choose a fitting supplement or any other healthy product, that will help to keep the body young and healthy. 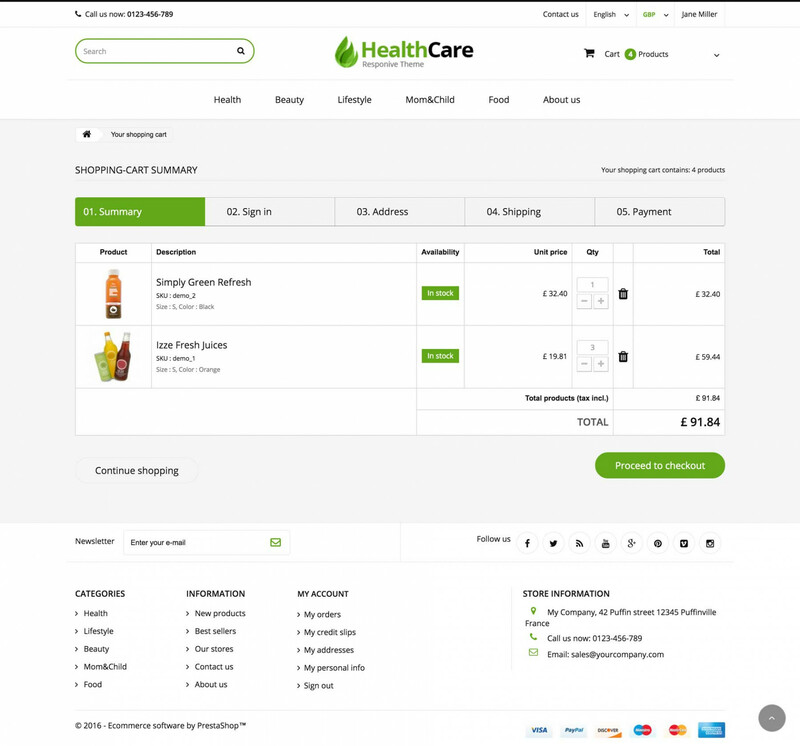 By the way responsive template will make navigation and purchase much easier on any mobile device, such as phone or tablet. 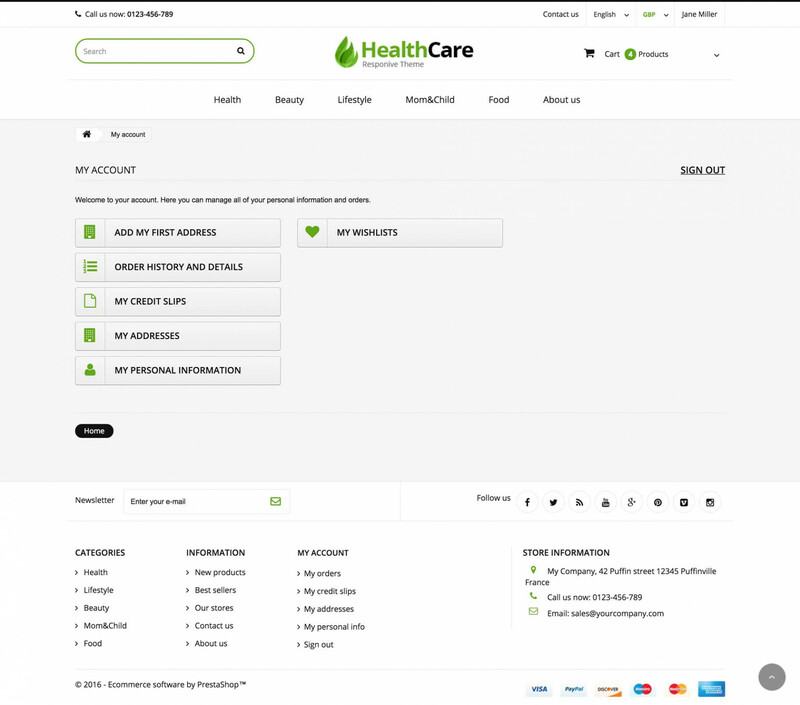 Just try the demo, to check this awesome template out, and make sure that this is 100% suits you.